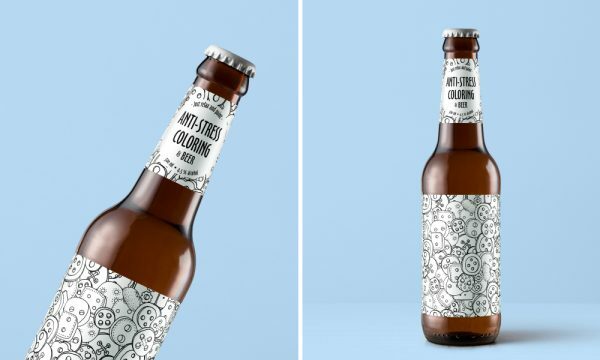 Designer Victor Nikishov came up with the Ultimate Anti-Stress beer, this one lets you just sit back, have a beer, relax and paint. 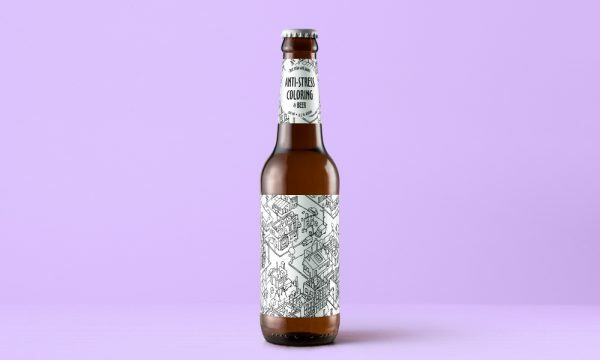 Is this The Ultimate Anti-Stress Beer? 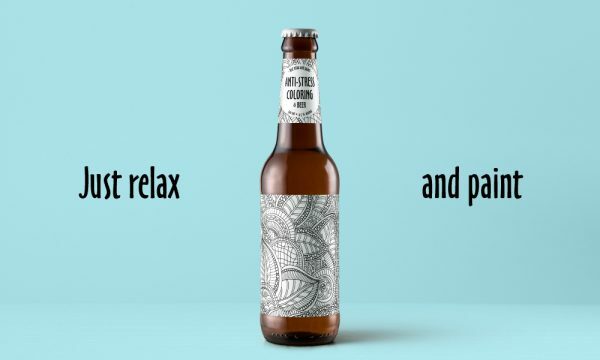 I’m guessing that most of you think just having a beer in a regular way is enough to get you to stress down. 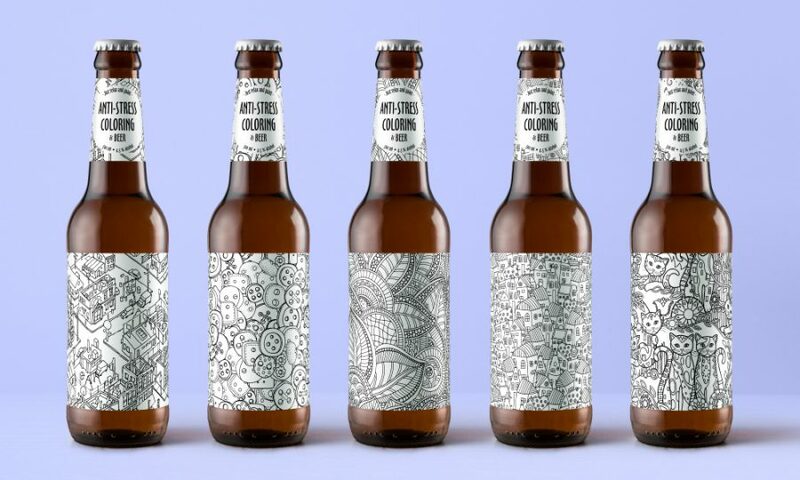 Ukrainian designer Victor Nikishov took this to another level with his anti-stress beer. 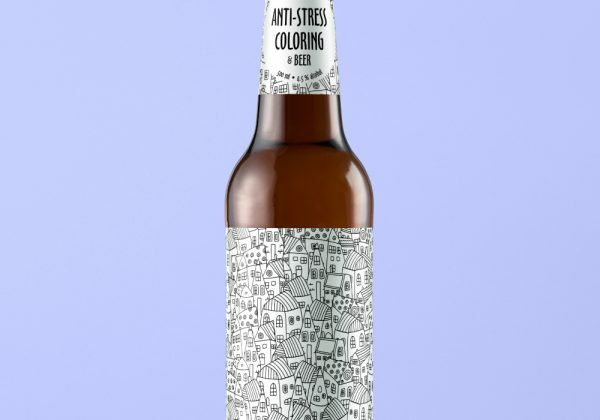 Not only does it give you that small alcohol kick (hey, drink responsibly), it comes with a label that is crying out for some coloring pens, which is the idea. That’s what Victor did. He too has noticed that in any airport store, in groceries, in toy stores you can now find anti-stress coloring books. And this is not something you get for your children. Oh, no. Adults worldwide is sitting around filling in detailed patterns with pens when they need to relax, at least that what I’m guessing. But how about using these patterns in more ways? 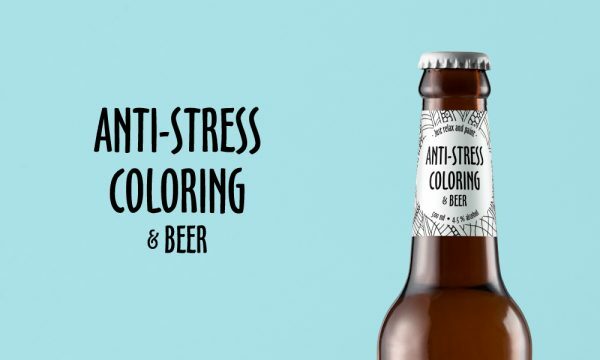 Like adding them to a beer label and turning two anti-stress products into one awesome anti-stress product? He did and the result is what you see in these photos. A fun concept and a clever idea, but what is really great is how good it looks. That’s what really stands out besides this being a fun idea. The bottles look great. Simple designs in black on white labels. Each one with a theme. A city map, houses, buttons, leaves and cats. They all look cool and will make you want to reach out for some color pencils as soon as possible, at least that’s how they make me feel. For more design by Victor, you can check out him here, for more great beer packaging I have lots of those here.